According to a recent survey conducted by Mass Transit, passengers using paper tickets to use and access public transportation may be a rare sight across North America by 2021. This would be a massive shift from current norm; as paper tickets far and away bring the biggest volume of riders to their destinations across a wide swath of transit options today. This research is from an 11-question online survey run between May and June 2016 through Mass Transit Magazine. From the 218 survey respondents about two-thirds of responses came from people involved in public transportation, with another 13% identified as consultants and 6% in sales. The “cousins” of paper tickets – magnetic stripe tickets – ranked just behind paper, in terms of present volume. 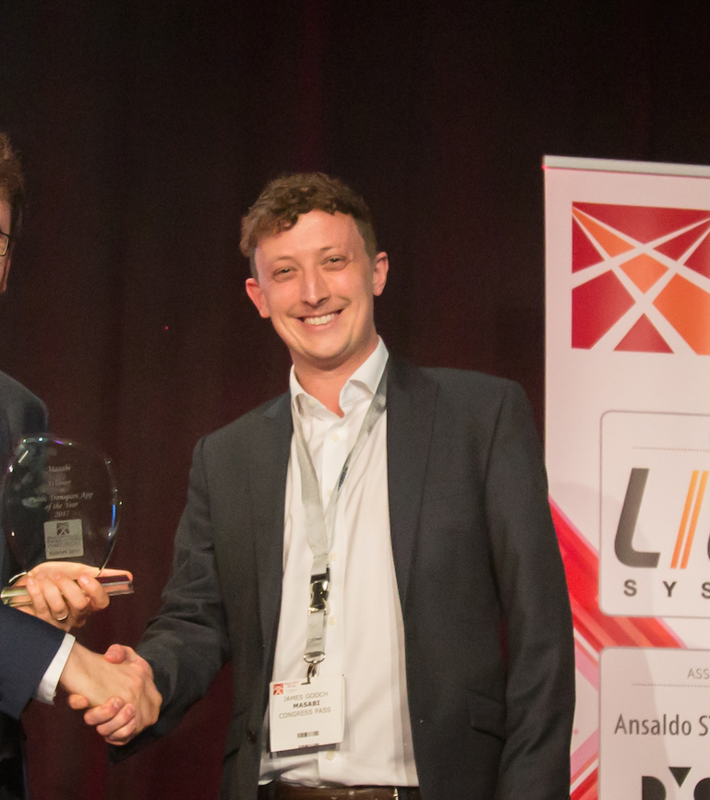 Smartcards were the other retail ticket volume leader as of 2016. At the bottom were Mobile NFC and Mobile & Contactless EMV, along with thermal paper barcode; or self-printing barcodes. In five years time, paper, along with mag stripe options are predicted to cover a low volume of retail ticket sales. 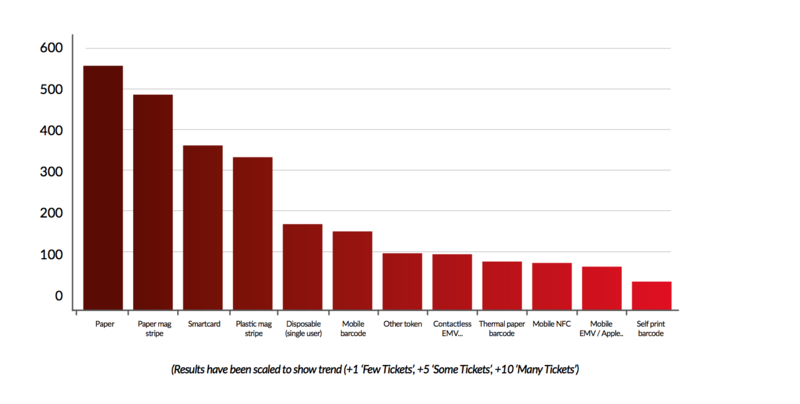 In fact, in the 2021 forecast, paper tickets ranked barely ahead of disposable barcode options (thermal and self-print). What would replace seemingly ubiquitous paper tickets? At the top, the smartcard, at a rate of use that would outrank today’s paper tickets. 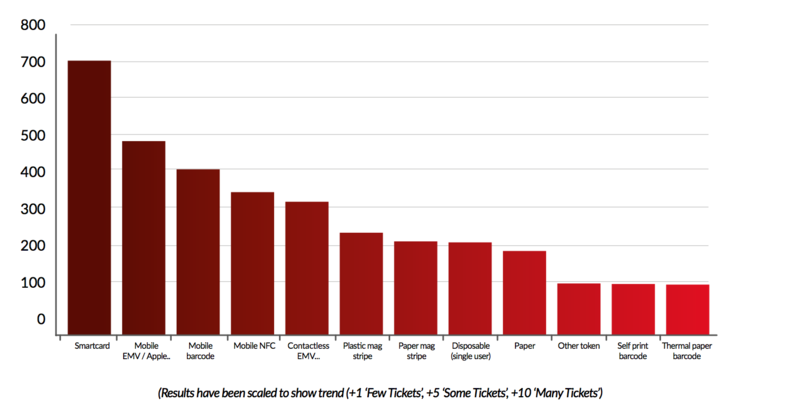 However, three mobile ticketing options show a dramatic ascent from today’s adoption levels. When you add up the three mobile ticketing options the mobile channel will far and away be the dominant ticket media in five years time, followed by smartcard. The big loser from this survey is paper tickets which go from 1st to 9th with EMV Contactless rising from 11th to 5th just behind mobile and smartcard. The big challenge for contactless credit cards now just being to get them into consumers hands. Again, when you look at these result they make sense. Paper tickets are easier to change than replacing a smartcard system – just look at Transport for London in the United Kingdom. We don’t envisage a paperless future as these options will be necessary for people without a mobile phone, contactless card or the unbanked, but this will be a minority ticketing option in five years time. The full results of this survey are featured in this Mass Transit Research Report: The Future of Fare Collection in Transportation. To download the report click on the image below.